A very hairy but not-too-scary monster story! One dark and stormy night – Tappity-tap! What was THAT? Owl, Mouse and Rabbit are quaking in fear. Could it be the Monster of the Woods knocking at the door? 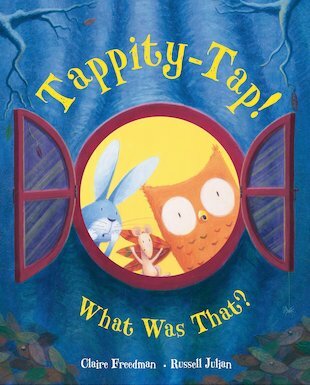 A suspenseful yet comical rhyming story packed with repetition, featuring monsters, animals and lots of surprises! From the bestselling author of Aliens Love Underpants, an award-winning author with a knack for getting kids giggling, this warm, funny tale of friendship has a wonderfully unexpected twist.